Southern Utah has the most incredible canyons and rock formations created by the erosive forces of rivers and streams. Hiking within these canyons you will see remarkable beauty and scenery. 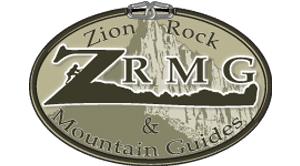 The trails in Zions National Park and surrounding areas cater to the absolute beginner canyoneer to the expert hiker and adventure seeker. You will find the peace and tranquility that the desert brings you as you explore. Other more challenging canyoneering routes require rappelling and climbing. Zion National Park is a hiking enthusiast’s dream with destinations such as the Angels Landing, Mystery Canyon, Zion Narrows and The Subway. With so many choices, we’ve found a place that lists the best hikes in the St. George area. Below are local outfitters that provide excursions that include expert guides and the necessary equipment to traverse the obstacles that await every trekker. If you decide to use one of our preferred outfitters you are in for an amazing all around experience and a fun challenge. Paragon Adventures is a local group of passionate outdoor professionals. They offer canyoneering exploration programs of the worlds best slot canyons by hiking, rappelling, scrambling, and sometimes swimming and wading! They provide all the instruction, equipment, and transportation needed. They also offer rock climbing, zip lining, mountain biking and deserteering. You can call them at 435-673-1709. As a Destination Management Company, we provide individuals and groups with scenic, photography, and adventure tours throughout the Southwestern US. We offer a wide range of day tour and multi-day tour options and activities and can customize tours to meet your needs. Tours departing from Las Vegas, Phoenix, Sedona, Salt Lake City and other local areas adjacent to the National Parks. Contact us to start planning your adventure today!